Add points to your account with this new free Kellogg’s® Family Rewards code thanks to Yimmy and David! If you find a code above that has expired, please email me or leave a comment so I can update this list! Which rewards are your favorites at Kellogg’s Family Rewards? Expires 05/08/2019. Happy Easter everyone! A new year and new points! Well, it’s been a long time coming, but here’s another code for 50 points! Expires 11/26/2018. Have a very happy Thanksgiving, everyone! I don’t believe it – I was totally convinced they were just not going to issue any more codes. Thanks Yimmy! Please try entering this code tomorrow – I think they are having problems with their website today! Be sure to click the chat button on their site and tell them about the error. I got the same error, and when I told them about it, they went ahead and credited me the 100 points. I was told they know about this issue and are working on a fix. Thanks for the tip and confirming that their website is having a problem today! Thanks for the codes! Just as a heads up…the YOURKFRVALENTINE code has expired. Just curious …are ANY of these from the “scrabble” word that was emailed & has to be deciphered to get a code? If so, I won’t try to fill it out. If not, then I’ll try & post if it still works. Thanks again. Have a blessed day! I appreciate the correction, April! Just posted – thanks Dawn! Expiration dates are unknown but as of today they all work. All 3 codes worked for me today 5/15/2018 🙂 Thanks! Posting now – thank you! Thanks for the new code, Teresa! It did work today. Thanks. MAKE-MERR-YWIT-HKFR (25 bonus points – expires 12/31/17)! I received this in an email today where they ask you a “poll question” and it gives you this bonus for taking the poll. Thanks Yimmy …I’ve been getting the other holiday codes periodically, but didn’t get this one! Have a blessed Christmas & Happy New Year! Thanks E – I will post that 25 point code now! All expired except harvest of kfr pnts. Thanks for the new code Megs! Thanks for the codes, got 90 pts. today! Thanks for the new code, Angie! Hi Heather …just curious where you’re getting your Kellogg’s codes from? I used to get them in emails, but don’t get them any longer. I still get emails with their recipes & coupons, but no codes. Well, I say that, as I did get one today for having been with them 5 years. I got a 500 bonus, as a 5-yr anniversary. Otherwise, I no longer receive the “random” codes I used to get. So was just curious! Thanks for sharing them! I’m up to 19,584 now …not sure what I’m holding out for. I used to always donate them for “planting trees”, but I thought I might actually get something tangible this time. Haven’t decided. Most of the codes I post I get from my readers. Sometimes Kellogg’s tweets me a code. I don’t get any codes in emails from Kelloggs either. You’ve got a ton of points – what will you get with them? Thanks Deb! Thanks again, as the code WATCH4FALLCOLORS worked for me today! I’m now up to 20,284 in points ….still undecided what I will get or do with them. Just will let them build up some more, as I’m not really into “things/stuff” anymore. I’m actually trying to downsize, so I don’t want to “spend” them just to spend. If I see something I can actually use/need, then I will get. Otherwise, I will continue to donate them to planting trees, which is also needed. For years that’s all I did with my points. I believe they are being used for that charity, but you still have to sometimes wonder. BTW …can I make a suggestion for your site, if it’s possible?!? I don’t know a ton about blog sites, as I’ve only thought about creating one. However, I know there was an option to have any of the comments show in various order (top to bottom, newest to oldest, etc). I can’t remember what site that was on, but just assumed that’s an option for all blog sites?!?!? So my suggestion, if you’re able, can the newest/current comments post at the top of your comment feed? I ask because it’s hard to find the latest/current comments on your page. I have to scroll through old comments dated back from 2014 to find the current ones. Also, not sure if it’s supposed to or not, but I didn’t even know you replied to my last comment, as it didn’t email me your reply or anything to say I had a response. Is it supposed to, since we have to give our email when submitting a comment? Just curious, as I know on some other blog sites it gives an option for me to mark a button that says “email me if anyone responds to my comment only” or I can mark a box that says “email me if anyone comments on this topic” …etc! Again, I’m thinking about starting a blog myself, but am trying to learn the little “tricks”, so I can implement what I want on mine. Thanks again, Heather! As always, appreciate your willingness to post these for us! Thanks for the great suggestion, Deb – I just figured out how to change the order of comments. And I’m looking into setting up email notifications when I reply to comments. I appreciate it! YAY …this is awesome …thanks so much for changing the order of the comments! It’s so much easier now, as the newest comments show right up top! Don’t know if it emailed me, as I haven’t checked that email account yet. It’s my secondary account I use for coupons, surveys & such. However, I don’t check it daily. I actually have 3 email accounts (primary, secondary as mentioned & 3rd one is for my tiny house page …it’s hard to keep up sometimes, but it helps to keep them separated out)! Anyway, more info than you needed …LOL! Thanks again! Have a blessed weekend! Girl, get a gift card! Thanks for always posting these codes. Thanks again for the new code! Good luck playing the sweeps, Diane! SUMM-ERFU-NFRO-MKFR for 100 points. Expires 7/23/17. I like checking out your site to grab some extra freebie points …thanks so much! Today’s email gave me: KFRC-ELEB-RATE-SDAD for 50 pts! I also just used yours above: HOTHOTHOTPTS4YOU (for 25 pts -thanks)! Awesome Deb – thanks for leaving a comment! Thank you for the new code! Thank you for the posting. I have earned 200 points. That’s awesome, Grace! Keep coming back to my blog because I usually post new Kellogg’s codes every week! Thanks Angie – I already posted this code. ITSMOMSDAY2SHINE from KFR on Facebook 50 points. Thanks for the May codes. Happy Mother’s Day! thanks for the site info. I have some new Kellogg’s point codes for April Fools Day. Another Bonus code. New 3/17, expiration 4/3/17. Try again today… I couldn’t get them to work on the 16th, but they did work today. They worked for me today. SPRINGFORWARDDAY and SKISLEDSKATE4PTS did not work for me. Error said code was incorrect. Just started following you, new to all this and trying to catch up! Thank you for the great tips and reward codes! Your the best?? ?Keep up the great work! The first, 4th and 5th codes are still active! Thanks! I have looked all over the box of pop tarts and i can not find the KFR code where is it located at on the box? Sorry Tina – but they no longer but Kellogg’s Family Rewards codes on the product packages. The HAPPYVDAYFRMKFR code is expired. But thank you for all these codes! I now have enough for some high dollar coupons! Thank you for the updated point list. It is greatly appreciated!!! i cant get it to take kindnesspassiton and letitsnowugetpnts, i tried several times, says invalid. I found KIND-NESS-PASS-ITON. It expires 2/27/2017. It is for 25 points. From the crossword puzzle. Just used it today. Thanks Melissa – just posted this new code! Please try again. The code entered is incorrect. Keep in mind that some characters may look similar. When I get this message I will type in the code (instead of copying & pasting) and sometimes that will work. Could be that you already entered the code or could simply be an error. Try typing in the code instead of copying & pasting it. Hi, I have read that Kellog’s would not be taking anymore codes after today. I still have a lot of them I haven’t put in. Can we please request extra time? Or how to request more time? Desperately need help please!! Call Kellogg’s directly and they may be willing to help you. Where are the codes found? Emails from KFR and posts on social media but today is the last day to input codes. I had email issues and now cant find any of my saved emails to load my holiday codes from 12/2016-now…Anyone know where I can find them? GREA-TREW-ARDS-4YOU for 25 points. Expires 1/30/17. WINT-ERWO-NDER-PNTS for 100 points! Expires on 1/15/17. I texted it to 89332 (that’s KFR) and it works. Thanks so much, Angie – posting now! REDN-OSER-EIND-EERS for 100 points! Have a merry Christmas and a wonderful holiday season, everyone! Can I receive these coupons by mail too or you can only print them out? They are printable coupons – I don’t think there is an option to request them by mail. Thanks so much for updating the codes so quickly.Also I have a $5 off $10 O’reilly auto parts coupon, for anyone who wants it please email me at ritanique@hotmail.com. There’s a new code for 25 pts. ROCK-INGS-UMME-RPTS for 100 points, expires 12/04/16. PresidentialPick & ScaryGoodSavings are expired. Thanks so much for this site. Just scrolled through the whole trail and was able to add many of the codes to my account today. Sorry I didn’t keep track of the exact codes but hopefully the information below helps. I just cashed out 4000 points this morning for 2 free redbox movies. I don’t think I’ve ever had to pay for a redbox rental thanks to KFR! COOLITGETFREEPTS for 100 points. Expires 11/13/16. I’m showing this code is worth 25 points in my account. I forgot to mention, it’s only 25 points. You have it listed as 100.
was just getting ready to post about the 100 vs 25 points! 😀 I will take any points though, so thank you both! Thanks Emily – I’m guessing the older codes have expired. I will update my list! ILOVESUMMERBONUS for 100 points. Expires on 10/23/16. Nice – I appreciate it, Yimmy! After you login, click on “Enter Codes” button. Couldn’t confirm this code yet, but here you go! KFRS-HARE-THAN-KS20 says it’s a duplicate when I enter, even though it’s not…. I’m sorry, I’m not sure why it’s giving that error. I entered it successfully the morning I posted it. Maybe they disenabled it because of the Labor Day code?? Very strange. Yes – hard to say! I’ll go post the Labor Day code right now! Yup, did it and got the Labor Day points. Thanks! Thanks for the codes! Just got 50 points! Codes are expired. Please update. Expires 9/30/16. Valid for one entry. I could not get these codes to work. That’s because they expired at the end of June (6.25 and 6.27, respectively). It’s been nearly a MONTH since we’ve had a KFR code. What is going on? HIGHTEMP25FREE4U for 25 points. Expires 6/25/16. Awesome – thanks so much! FATH-ERSD-AYPT-FORU for 25 points. Expires 6/27/16. Hooray! Thanks for the new code! FATHERSDAYPTFORU & MOREPTS4UROCKERS were the only2 that worked. The other 4 are expired. Thanks! I appreciate the update, Alison! Thanks family for the rewards God in Jesus in your spirits will bless you tremendously. Praise v God for you all. This is so awesome thank you. Are there any other current working codes? Only these codes in my post – I remove codes that have been reported as expired. Thanks a bunch for the codes! Thanks Yimmy – you rock! This one still worked for me! Thanks for all of the codes!!! I’m correcting my error – thanks Mike! Thank you. You helped me earn 200 Kellogg’s rewards points tonight!! That is awesome to hear! You are very welcome! HAVE-ASUN-NYSP-RING for 25 points. Expires 3/28/16. It works – thanks for the new code! CELEBRATEGAMEDAY is expired. Thanks for posting! I appreciate the update, Karen! It’s a team effort for sure! Glad we could help you boost the points in your account! 25PT-BIGG-AMEB-ONUS for 25 points, expires 2/15/16. Big thanks to you, Yimmy!!! KFRW-ARMA-NDTO-ASTY for 25 points. Expires 01/23/16. Haven’t received any yet. I had over 5,000 points and they expired while I was out of town. I had tried to enter codes the week before they expired, but my iPad said this was not a safe site at that time. WARMWISHESFORYOU and POPTARTSAVENGERS are expired. KFRSUPERSAVERMOM for 100 points in the new year! FREE-POIN-TS4D-IVAS for 100 points. Expires on 1/3/2016. These worked as of just now. They also have 100 pt bonus for linking store loyalty card and 100 pt bonus for watching new receipt for point process. FYI the KFRKEEPSONGIVING is only worth 25 points. 😀 TYSM!!!!!!!!!!!!! ROCK-INKF-RREW-ARDS for 100 points! Expires 12/20. PTS4THRIFTYCAJUN – tried this code and it says that it is expired. Tried it on 12/14/15. Just an FYI. Thanks David – don’t know how I missed this code! The code TOODELISHTOSHARE is expired now. I appreciate the update – I’ll update my list right now! I really despise the coupons when it needs to be printed – I don’t have a printer and I also don’t have a phone to use at any checkout….just the basic Trac fone. This is very disappointing and why do we need to go through so many questions and advertising just to get a free sample. Maybe it is time to mark ‘Freebie” as junk or block. THANKYOU4SHARING for 100 points. Expires on November, 1. I don’t know if anyone can help. I thought I had enough codes for a ticket to the avengers. I waited until now to enter them and turns out one was not for the movie but worth 100 points. So now I am 1 code short of a ticket. Can anyone help? I also entered codes for avenger movie tickets on 10/24/15. And found out some really awesome news when I called the customer service line. If you enter your codes through the poptart side… You will get two free movie codes for one. They ran out of bobbleheads. And rewrote some program. And so when you make your selection to redeem one movie for 6 codes through the poptart side… It sends you two movie codes for redemption. And customer service said it was fine. So you are one short. Call the customer servie at 800-962-1413. And they will gladly give you a code to finish out your group. I’ve done it before. Also on 10/24/15 I had some codes that stated duplicate. That is why I called in to complain. And they did’nt even ask for the code. They just gave me a free replacement code. So don’t walk away from your 2 for one movie offer for 6 codes. Call into the customer service. Our large family has gone to allot of free movies because of KFC. Also lately when taking my redemption certificate to 2 different movie houses. They told me my balance that was still left on the voucher. It was worth up to 12.00 and I went to a 5.50 movie ticket price and was able to buy 2 tix for one voucher and still use the remainder towards concesisons. We did this at AMC in Mesquite TX. So get the full value of your voucher. Ask for it back and ask for the remaining balance on the voucher. You can get extra stuff for the same voucher if you are thrifty. To get to the poptart side with your avenger movie code you sign on at kelloggsfamily rewards.com. Then look for the tab an inch from the top in white… called offers. click offers. it will take you to a spreadsheet of latest offers. Scroll down to the one called :”Get avenger stuff with Kelloggs Poptarts” And when you enter you last of 6 codes on that site, it will send you the credit for two movies when you redeem from that site. They changed up something when they ran out of bobbleheads and it duplicates the order from the poptart side over on the cereal side. It works I’ve gotten 6 freebie movies alongside my redemption of 6 for a total of 12 movies for 36 codes. Keep in mind you are only supposed to redeem 5 movies from one email account. you have to open other email accounts to keep things balanced with the kfc computer. I won a $100 E-gift card on 8-13-2014. I had NEVER won anything like that before! I greatly appreciate the update, Belinda! Thanks for the codes!! I received 190 points!! Thanks for the update, Amber! POINTSFORMOMMIES……Is worth 100, did it today 10/19. Just thought Id share. Thanks for letting me know – it’s always hard to predict how long the codes are valid for. GETKFRREWARDSNOW is working for 100 points. Reya – I’m so happy to hear that! I’m glad my list is a good resource for you. Please tell your friends about it too! The KFRLOVESPOPTARTS code is now expired. I’m happy you discovered my blog, Suzanne! Thank you for always posting Kellogg’s free code, Freebies4Mom. I will update my list – thanks Jessica! Liz – Which code came up as expired? Thanks! BONUSCODE4MOMMAS works for 100 points right now. I appreciate the update, Jen! fyi…the code SMOREKFRPOINTS4U was showing as expired when I tried entering it this morning. Thanks for posting all the codes! I appreciate the update, Peggy! Only the code for August 10 worked for me, the rest did not. Thanks Donna – you rock! Thank you so much for the new code – just added it to my list! Sorry this code didn’t last long – be sure you have the others! Got my post updated – thank you! The 4th of July one is expired. I appreciate the update, Lise! You’re welcome – and I appreciate the update! The following code: FREEBONUSFROMKFR has expired. Thanks for sharing! All codes work as of 6/21/15. Super cool – thanks for letting me know! Thanks for all the great work you do on this site! You’re welcome – and thanks for the new code! I love getting help keeping my list updated! Got it posted – thanks Rebecca! Hi. I appreciate all of the Kellogg’s free codes you’ve offered via this site! I have a rare primary autoimmune disease that significantly damages optic nerve affecting both eyes (among other things) where I’m already legally blind (with prescription). Anyway, I still buy so many Kellogg’s products (as well from their ‘Family Rewards’ associates) but I can never read – at age 43 – the codes inside even with a magnifying glass. I really wish they would make these codes with a bigger & bolder font. I used to be a CPA before I was forced home for 24/7 medical treatments but please know I am very hopeful about returning to work ASAP & will have another major surgery (could be a lifechanging one) in the next month to further that goal (I love being a mother but I also love my career and what it can offer my family). Anyway, I noticed that there haven’t been any Kellogg’s codes posted since May 12th? I became more concerned when none were offered for Memorial Day. I thought maybe the corporate offices of Kellogg’s and their related affiliates were ‘tightening’ their rules because it looks to me that the main reason for these codes offered by them is more of a marketing strategy to find where people buy their products the most (as a former accountant for 20+ years I can’t help but think that this is their main agenda). Anyhow, if this is the reason or they’re just no longer widely available I respect them & your site for offering these free codes to someone like me as long as they did. Again, I still wish they would make their codes inside the box of their products easier to read for people with disabilities. In any event, thank you for helping me to keep my Kellogg’s reward balance intact as long as it has been! I can not express how much I REALLY appreciate your help!! It helps keep my mind off my problems by providing me with something I’m can be productive with at the moment while helping my family, even if a little it still means a lot!!! Wow! I appreciate you sharing the info. CELEBRATESMOM is expired. Thanks so much for maintaining this list! I appreciate the update Marissa! Thanks to all of my readers I’m able to keep this list up-to-date. Which code on the list is expired? Thanks! Thanks for sharing your codes everyone. 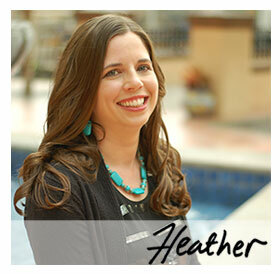 This blog is awesome Heather. You are very welcome Rita! CORNYLOVESEASTER did not work for me; it said it was expired. Updating my list – I appreciate your help! Here’s another one for 25 points! Thank you – already got this new code posted. This code is coming up as expired. EASTERTREATS4ALL We’re sorry, there was a problem with your request. Please try again. But I am sure there are more free codes on the way! YOURKFRBONUSCODE has expired. Thank you!! I’ve made that update – thanks so much! New code today on Facebook: CORNYLOVESEASTER. Expires 4/12/15. SWEET – both codes are new to my list and I just added them on! Thanks so much for alerting me to these new codes! Thanks for the codes. I found that MAGICALCREATIONS expired. MAGICALCREATIONS is expired. Thanks for all your hard work! KFR was cute and posted a screen shot of it being only 5 pts, but it is really 50 pts. Thanks for letting us know, David! Thank you so much – just added that new code! Updating my list now -thanks so much! Thanks for the great list! 300 points that I didn’t have before… thanks again! FREEPOINTSFORYOU has expired (3/17/2015) Thanks for posting all of these! Just updated – I appreciate your help in keeping my list of codes current! TASTYWAYTOPOINTS states expired. Thanks so much for these. I just signed up recently for the Kelloggs Family Rewards. EVERYONELOVESKFR and KELLOGGSREWARDSU (both 100pts) are both expired. Thanks for the list….I always check here when I finally sit down to enter all my codes from the items I purchased! Got my list updated – thank you! I appreciate the updates, Brooke! Do you have any codes for free books? Thanks for posting these codes it really helps to boost my points. Hooray – I’m happy to hear that, Ruby! Thank you for the codes and tips. I wish I could use these, but I always get an error when attempting to log in to kfr. It keeps telling me that my username or password is incorrect even when I’ve just requested a password reset. I made a second account to see if it was just a problem related to my email address, but the issue persists with the second account as well. I’m kind of bummed out about it. Am I the only one having this problem? I believe KFRISCRAZYFORYOU has expired. Updating my list – thank you! EVERYONESAWINNER is expired, that is what it said when I tried to enter it. No indication of expiration date. You’re cracking me up, David!!! Happy Valentine’s Day! You’ve solved our crossword and entered your FREE BONUS CODE! Thank you so much for sharing Anna! SPECIALPTSFORYOU IS EXPIRED 🙂 THANK YOU FOR THE OTHERS! Sorry that code didn’t last long! EARNGREATREWARDS did not work. It said it was a duplicate. The rest worked great! Thank you! Thanks, but codes from packages are one-time use codes that can’t be shared. I went on to check there (Facebook) yesterday as I thought ti was every Friday but did not see one posted. Thanks and have fun if you watch the SuperBowl tomorrow! I appreciate the new code! Updating my post right now. I appreciate the update John! SWEET – thanks for the new code, took me a few seconds to figure out the significance of 49 points – for the Super Bowl of course! QUIZWHIZ50POINTS is expired. Tried it on 1/26/2015. Thanks for having this list! It’s great! I appreciate the update, Mel! It worked! Adding now – thanks so much for the new code! Thank you! 6 of these worked for me. The others were duplicates that I must have already used in the past. Thank you so much – adding this code to my post! This code worked for me today, 2/14/2015. I didn’t see it in your post above, however. Hi! Thanks a lot! HOLLYJOLLYPOINTS expired. EASYMENUPLANNING was added today. Expires 12/26. Supposedly is for 50 points, but for some reason it only added 5 points to my account when I used it. Thanks for letting me know Christina! SOTHANKFULFORYOU is expired! 😀 Thanks for the other codes! Got my list updated – thanks! I just tried this one this morning (12/2/14) when I saw your comment and it worked for me! Thanks… can we get this one added to the list at the top? Which code worked for you? The first code is now expired. They all worked for me with the exception of the first code as well! do you still have those codes? they are no longer displayed on the freebies4mom page. thanks! I’ve removed all codes that are “expired” or simply stopped working. they all worked for me except the top one. Do you still have those codes? They are obviously gone from this site, but I would like to try them again. I just went through the list and all but the first one worked for me! Thanks. They were working for many on Tuesday morning – unfortunately they then stopped working before I realized the Kellogg’s changed them. I’m so sorry about that – I hate to send out expired codes, but I just didn’t know before my email went out. I’m sorry, but Kellogg’s changed those codes to “expired” and they only worked for everyone for a short period of time. First code didn’t work for me, the rest did! Thank you!! Thanks for that update Jessica! I had the same problem- I even went back to confirm that I didn’t have the codes already entered. Has anyone figured this out yet? I’m sorry, I think Kellogg’s changed them because this morning they were working for many. Sometimes codes are expired without any warning – so it looks like Kellogg’s expired these codes sometime today. Yes — all of these coeds came up as duplicates. When it looks TOO good to be true . . . . Kelloggs is generous, but 3K did seem a bit over the top. I have the same issue. All six codes don’t work. These codes don’t work for me or my daughter. All show up as duplicates. I am trying to enter codes for the family rewards but it keeps showing “file not found”. please help me! I live in the commonwealth of Northern Mariana Islands, i hope that i can be registered and be a part of the kellogs family rewards so i can enter my codes for rewards….Thank you! Same error for me. I bet these codes were not meant to get out (or at least not shared with a bunch of people), and they disabled them. I have the same problem with the codes added today….all say they are duplicates. Same issue for me – all state duplicate & aren’t. When I try to add the 500 point codes it says they are duplicates. I’ve tried all the codes and all the stores. Has anybody else had this issue and discovered a solution? Thanks! The 6 codes that were added on Veteran’s day keeps saying duplicate. I have never redeemed them before. KFRTRICKORTREATS has expired as well. I appreciate the update Karin! Wow, I eat Special K all the time and I never even thought to join Kellogg’s reward program. I’ll have to check it out and use these codes. Thanks! Now I just have to figure out where codes are on my cereal boxes. Correction made! Thanks so much! Thanks Chris, but didn’t work for me. I also got the 101 prints (and 50 KFR points) with a code from an email. The subject line on mine was “Yum! Fantastic Fall Favorites Inside.” Thanks for the heads up or I might not even have opened it! Great website, and the updates are most appreciated, Thank You. EATMORECHOCOLATE 25 points expires on 10/23!! KFRSHARETHANKS20 (20 points) – I got 100 points for this one!!!! I appreciate the updates Melissa! DAYORNIGHTSNACKS (50 points) added 10/9 is now expired. Thanks for the great work rounding up these codes! I appreciate the update Angela! SATISFYYOURTUMMY (50 points) added 10/9 is now expired. Thanks for the great work rounding up these codes! Thanks so much for all these codes! Some codes did not work last week but now they do. Thanks again. The Deer Valley one says it is expired…the rest worked as of 10/8/2014. FYI – Just tried another code and message stated that code entry is not available at this time – team working to resolve the issue. We’re sorry, there was a problem with your request. Please try again. Please try again later and let me know if it works! You’re welcome – I appreciate the update! Thank you for sharing, but it looks like these are unique codes found on packages that are only valid for one-time use. THROWBACKBONUS50 appears to have expired. How do you add Couponpro, mojosavings, hunt4freebies to Kelloggs codes? There are not enough letters or spaces so they will not accept them. Marge – Those are not Kelloggs codes, simply credit to bloggers who have published new codes that I’ve added to my list. Woo hoo! Thanks so much, Mary! I don’t know if anyone else got this, but today (9/20) I got an “anniversary” email from Kelloggs that contained a code for 100 free points. Just wanted to share!! SWEET – that’s an awesome way to celebrate the “Anniversary” of joining Kellogg’s Family Rewards! Thanks so much for sharing this list! The code RELAXITSLABORDAY is also expired. Thank you so much for these, this is awesome!!!!! Thanks so much – I’ll update my list right now! Which labor day code didn’t work for you? You are awesome for letting me know – updating my list and adding a new code soon! September 1st: RELA-XITS-LABO-RDAY (100 points) Expires 9/8. All KFR rewards codes you have listed were still good as of today. I used all but one. Thanks. Awesome – I really appreciate that you took the time to tell me they all worked for you! Thanks so much – just posted that code but didn’t know when it expires! Here are some codes for Kellogg’s Rewards. Barbara – Thanks for sharing, but those are one-time use codes that cannot be shared. Wow – thanks for the new code! KFRSATURDAYBONUS is expired, Thanks for all of the freebie codes. I appreciate the update, Pam! KFR4COUPONING101 & HIMONEYSAVINGMOM has expired! Thanks – I’ll update right now! Do u know what the regulations are, can’t find anything to that effect on the site, I just looked. Thank u so much for making me aware of that. Hello. Thanks so much for sharing all of these codes. I had over 1000 pts expire because I had not been logging….had got out of the coupon routine. Now trying to get back in….kellogs cereal on sale for $1.99 a box & new I needed to get my coupons together for double coupons & then found out my pts were gone! Ugh! Then I started googling & found your list. Your codes + the few I had in boxes just put me back over 1000 pts!!!!! I can now print 4 coupons!!!! Thanks a bunch!!! Wonderful that you were able to get so many points with the help of my list! I need to add a warning to my readers not to save up their points for too long since it appears there is a time-limit on them. Patti – Thank you for leaving a comment. I love to help my readers! All still working! Thank you so much Ill be able to get my $1.50 coupon which is going to make cereal 10 cents a box this week when combined with my other coupons!!! What a great deal on cereal! Glad these coupons are helping! Good for you! And as always, thanks for posting the codes. The Kellogg’s Manufacturer’s coupons can’t be combined (i.e. use 2 coupons on 1 product). But the Kellogg’s coupons you get thru Kellogg’s Family Rewards are usually higher-value than the coupons you find in the Sunday paper. I’m guessing that Kaileigh found a deal where she can stack a store coupon with a manufacturer’s coupon? At some stores (like HEB and Target in my area) you can stack coupons to use 2 coupons on 1 product. I hope that they are bigger discounts than the free online or Sunday coupons. THanks! The 2 august ones worked for me!! Wonderful – so happy to see new codes this week! Thanks for your hard work..appreciate all you do..
You’re welcome! I hope everyone is getting some great freebies & coupons with their points! They are all still kicking! Thanks so much for confirming that all the codes work! I actually used KFRSATURDAYBONUS today (Sunday) and it still worked!! thanks! Great to hear – I’ve updated my post! Would not take CEREALANDMILKABC, said sorry try again. Thanks for letting me know – it worked ok for me this morning. Anyone else having problems with this code? I just tried it & it worked. AMAZINGSPIDERMAN said it was expired! All others worked great, thanks! Thanks so much for letting me know – I like to keep my list current! I just tried the BACKTOSCHOOL2014 code and it worked. It even counted towards the free Scholastic book promotion they’re doing, but I need 2 more to get a book. Thanks – I’ll update my list! Codes found on products are one-time use codes – but glad you got the 80 points! Thank you – I’m updating my list right now! Thanks so much for the new code – posting right now! Add it to my list! Oops, the code is FZJM-BRR0-CTG3-VX61. Hope it works for you. Thanks – I’m not sure if this code is a one-time use or a duplicate of an old code (I got “The code entered is a duplicate”). I’ll leave your comment here in case anyone else wants to try this code! HI, I’ve been using your site to get codes & have gotten tons of points for you. I got this one by email today & it was worth 200 points. I hope you can use it too. says duplicate, which I assume was not new today but a few days ago posted? I posted TOTALLYHOTSUMMER on Thursday, July 17 at 12:36 pm. Since my email newsletter goes out daily each morning, this post was included in my Friday, July 18 newsletter (since it was posted after my Thursday newsletter was sent out). It’s possible that you saw the code somewhere else and had already entered it in your account. Thanks for reading my blog! KFRCELEBRATESUSA just worked for me 🙂 Thank you! Thanks – I previously posted this code but later removed it from the list because my readers were telling me it expired already. Thanks so much Amanda – I’ll update my post! HAPPYBDAYAMERICA is another one worth 238 pts. Can’t believe how big this code is! Got it posted – thanks for making sure I saw it! Dumb me, I didnt realize my points would expire..I lost all of mine, thank you for posting. Crazy! How do you know when they will expire? Kellogg’s must have gotten many complaints. Rrr. A few days ago when I discovered that I had a larger sum of expired points than I had currently, I was not happy!!! FIRSTDAYOFSUMMER is good for 50 points until 6/25 (tomorrow). Enjoy! MOST OF THE CODES ARE DUPLICATES AND ARE EXPIRED.CAN YOU PLEASE UPDATE THE LIST? This is the current list of codes, I will add any new codes to it if I find new codes that work! I remove codes that have expired if my readers who are entering the code for the first time get the message the code has expired (most codes do not have a published expiration date). Thanks for asking! Thanks for the codes, Heather. There were many of them that I never used before so I got lot’s of new bonus points. I appreciate you making these lists for your readers. Woo hoo! I’m so happy many of these codes were new to you! I’ve been a Kellogg’s member for some time. But how/where do you guys get the extra codes? I have not received any through email from Kellogg’s, so am wondering how you guys get them (ones that are additional, besides the purchased box codes). The bonus codes are released in several different places (like the Kellogg’s Family Rewards Facebook page, Twitter account, and other social media channels). It’s hard to find them because they are released in different places, that’s why I keep this list with new codes that my readers tell me about. I’m glad you are getting some more points to add to your account! Keep checking back to this post! I use my points to get high-value coupons for Kellogg’s products. Checkout the Rewards catalog and see what you want to save up your points for! Thanks so much! Adding it to my list! Used all those on the list as I just signed up today and they all worked, thanks! Up to 305 points already. Fabulous – thanks for letting me know all of these codes are still valid! I so appreciate my readers who help me keep things updated and current! crazygoodconcert is another I just found posted yesterday! Woo hoo! Just posted it! Thanks for letting me know, I’ll update my list. Thanks for all the codes, they were great and all worked, Really added to my points. GRAINSFRUITDAIRY HAS EXPIRED! Thanks this was a great list and bumped up my points! My goodness you have to have a ton of points to get anything worthwhile! I hope they change that. It looks like CELELBRATEMOTHERS has expired also. These codes are expiring quickly now. Guess I need to start entering them when I first see them. Thanks for the update – I’ll mark that code as expired. Thanks, but tried right away, and though added today, they are EXPIRED already! I’m sorry – both of these codes worked yesterday. My daily email goes out early each morning so the codes went out this morning before I had heard from readers that 2 of the 3 codes I added had expired. It’s tricky to keep this list updated (but I try) because Kellogg’s codes never have a published expiration date. I’ll post new codes as soon as I find them! Thanks so much for these codes! They all worked for me except Hollyjollycostco (already on my list) and CINCODEMAYOPARTY (code has expired). You rock – thanks again for your help! As for 5/8/14, these worked. AMAZINGSPIDERMAN (20 points) added 4/21 – WORKED. KFRTWEETSREWARDS (50 points) added 4/21 –EXPIRED. SPIDEYEXCITEMENT (20 points) added 3/31 – WORKED. SPECIALK5BONUS4U (50 points) added 2/6 – EXPIRED. GREATSTARTSBONUS (20 points) added 2/6 – WORKED. HOWITWORKS20PNTS (20 points) added 2/6 – WORKED. EARNSWEETREWARDS (50 points) – WORKED. HOLLYJOLLYCOSTCO (50 points) – WORKED. GRAINSDAIRYFRUIT (50 points) – WORKED. KELLOGGSFREEBOOK (50 points) – WORKED. KFRSHARETHANKS20 (20 points) – WORKED. EARNGREATREWARDS (20 points) – WORKED. GIFTOFMUSICBONUS (20 points) – WORKED. THANK YOU SO MUCH FOR FOR THE CODES. I’ve updated my list – thanks so much for your help! Thanks for the points…:-) Have a blessed day! You’re welcome – I hope you can get a high-value coupon or something else with them! LOVEANDCHOCOLATE is expired. Thanks for the free codes, love them! thank you! I didn’t even know about this. I just started couponing and came across the site. thank you!! just added all these to my account! I love free points!! These aren’t new codes. At least in my account, it told me they are duplicates, I already entered them. They are new to my list – I’m trying to catch-up and help my readers catch-up too! Such a Big Help! Thank you so much for sharing these codes! I use them for the Brain Quest printables for my 6yr old son, he loves them! And for myself, the Kelloggs Reusable Bags! Love you Freebies4Mom! Keep up the great work! AWESOME!!! I’m so glad you could put these codes to good use! I’ll keep updating this list as I find new codes that work for me. Feel free to email me any shareable codes you come across as well! Thank you for compiling these in one place! I am faithful about entering my codes from products but never remember to do these and having them all in one place is such a time-saver!!! I really appreciate it, so THANK YOU again! I’ve updated my post – thanks for your help! Thanks! I didn’t have most of those. You bet! I’ll be posting more codes as I come across them! Have more free kellog codes been posted since the points posted for Dec 16th? I normally get the coupons but I did get 2 grocery bags when they had them for 1000 points each. it has to have 16 letters/numbers. the code does not contain that. Is there a letter or number missing. The code is HOWITWORKS20PNTS. It was missing the N.
thank you, i just entered it!! Missing one character. Needs to be 16 long. Thanks so much!! I got a free movie ticket during their Holiday promotion in December! I grabbed my 400, Thank you for posting! UGH – thanks for letting me know, I’ll update right now! Nevermind – I got the new code added! You’re welcome, Deb – so glad you told me to change it! There are just too many things to keep track of on the blog, LOL. As far as I can tell, the only way to get an email reply is to check that box when you first leave the comment. There isn’t a setting I can change in Wordpress.